Marina Spirit Two is a name of vessel Hanse 415 ,which has been manufactured in 2017. 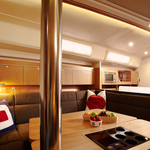 Marina Spirit Two is furnished with 8 beds. Beds on the sailing boat are arranged in 8 layout. 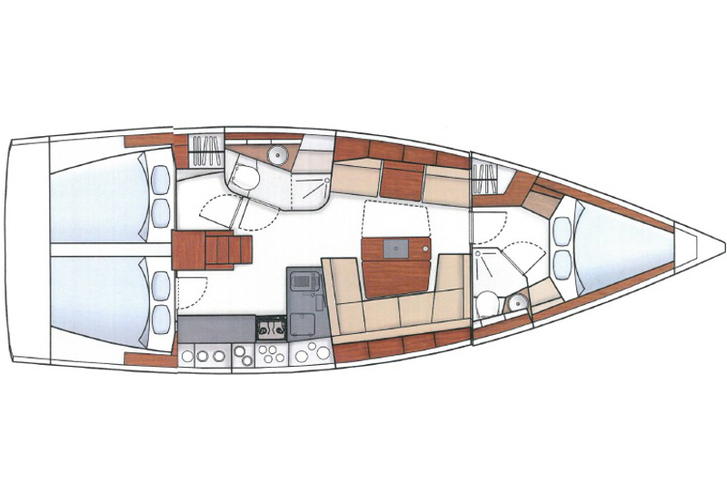 3 cabins are located inside the sailing boat Marina Spirit Two. Passengers can feel comfortable on this boat , because there are 2 WC for their disposal. With 115.00 l liters in fuel tank you can sail really far and still be independent because of 360.00 l l. in tank for water. 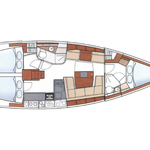 Marina Spirit Two is powered by motor Volvo 28 cv. Boat's dimensions are: LOA - 12.40 m , beam - 4.17 m and 2.10 meters of draft. On the yacht you can make use of following equipment: Autopilot, Gps plotter, Bimini top, Anchor electric windlass, Furling mainsail. . Nonrefundable deposit accounts for 2500.00 EUR.